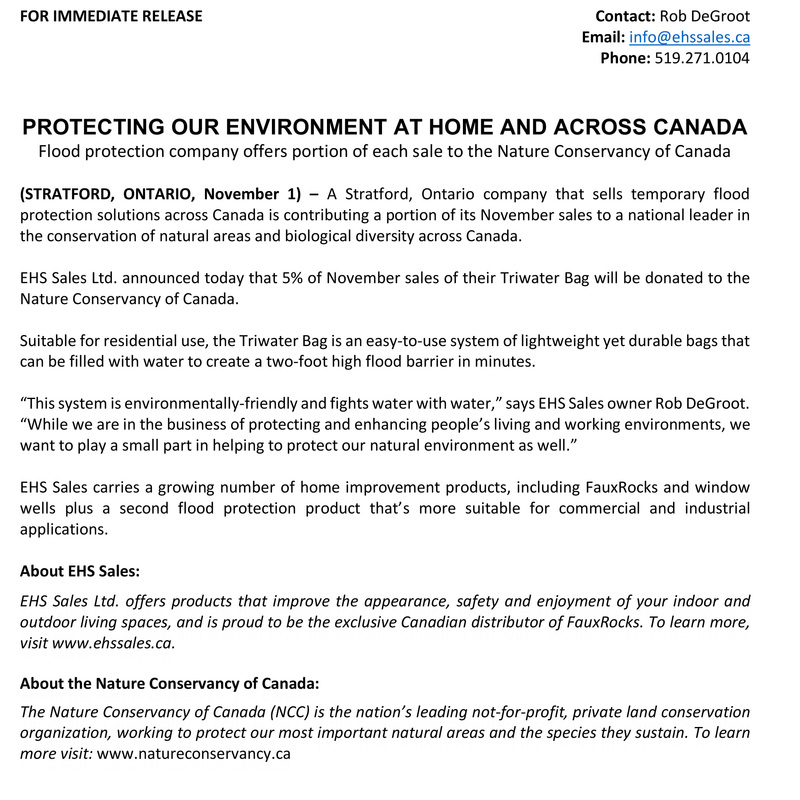 Protecting You, Protecting Canada | EHS Sales Ltd.
EHS Sales Ltd. is pleased to announce that we will be donating 5% of all TriWater Bag sales in the month of November to the Nature Conservancy of Canada. This means that, while you’re protecting your property from flooding, you’re also helping to protect our natural environment across Canada. Please read our press release for full details and contact us directly to order.